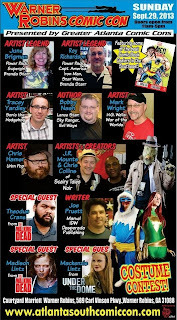 This Sunday, I'll be at the Warner Robins Comic Con. 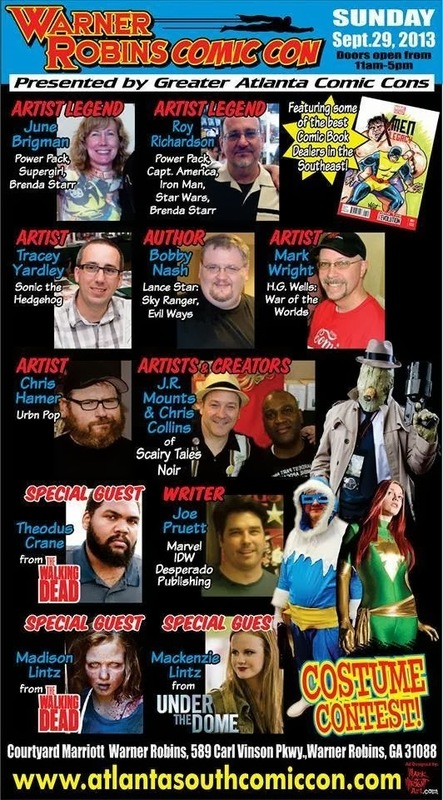 I'll be there representing Earth Station One with the award-winning author Bobby Nash, and I'll have plenty of copies of Tiki Zombie #2 Special Edition on hand. To be honest, I'm still a little con-lagged from earlier this month, but this is a great one day show featuring some cool guests and friendly attendees. 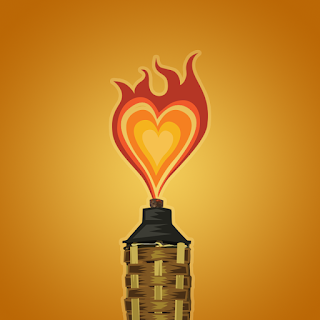 I had a FAN-TIKI-TASTIC time at this con last time and look forward to returning. Come on by and say, "Howdy!" On this episode, the ESO crew discusses something completely different. King Mike, his trusty steed Patsy Mike, the award-winning Sir Bobby the Brave, Sir Greg the Not-Quite-So-Award-Winning, Rebecca the Enchanter, Robert the Shrubber, and Sir Not-Appearing-in-this-Podcast risk just a bit of peril to discuss the classic comedy and there is much rejoicing. Plus, we also take author Ralph L. Angelo Jr. off his motorcycle and onto The Geek Seat. All this, along with the usual Rants, Raves, Khan Report, and Shout Outs! 0:39:57 Interview & Geek Seat w/ Author Ralph L. Angelo Jr. 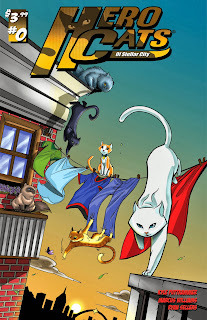 This week's Shout Out goes out the creative folks at Galactic Quest and their new comic, Hero Cats! A great premise realized by writer/creator Kyle Puttkammer with stunning art by Marcus Williams. The zero issue is available now! Next week, the ESO crew becomes a Person of Interest as they investigate rumors of a mysterious machine that spies on us every hour of every day. Hunted by the authorities, we work in secret. You'll never find us, but victim or perpetrator, if your number's up...ESO will find you. If that wasn’t enough, we'll also take a look at Marvel’s Agents of S.H.I.E.L.D. and Syfy’s Fangasm. Plus, the usual assortment of Rants & Raves, Khan Report, interviews, The Geek Seat, Shout Outs, and so much more. 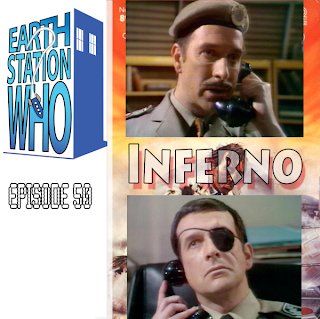 This year Doctor Who celebrates 50 years, and this week the ESW crew celebrates 50 episodes! Mike, Mike, The Phantom Troublemaker, and the award-winning artist Mark Maddox review the seven-part classic Third Doctor story, while trying to avoid their doppelgangers – the Intern Faber, Adieu Gordon, The Phantom Organizer, and the Awardless Maddox. Hopefully the pattern can be changed before the crew reaches Penetration Zero. In 1917, an artist named Jacob Kurtzburg was born and for the next three quarters of a century, he popped and krackled his way to creating fantastic, bombastic, amazing, astonishing, strange, romantic, suspenseful, thrilling adventures unlike anyone had seen before. Mike, Mike, the award-winning author Bobby Nash and fellow award-winners Mark Maddox and James R. Tuck travel to the Fourth World and back to find the words to express Jack Kirby’s influence. We also find just a bit of time to fulfill James’ dark fantasy about being strapped to The Geek Seat. Plus, the usual Rants, Raves, Khan Report, and Shout Outs! 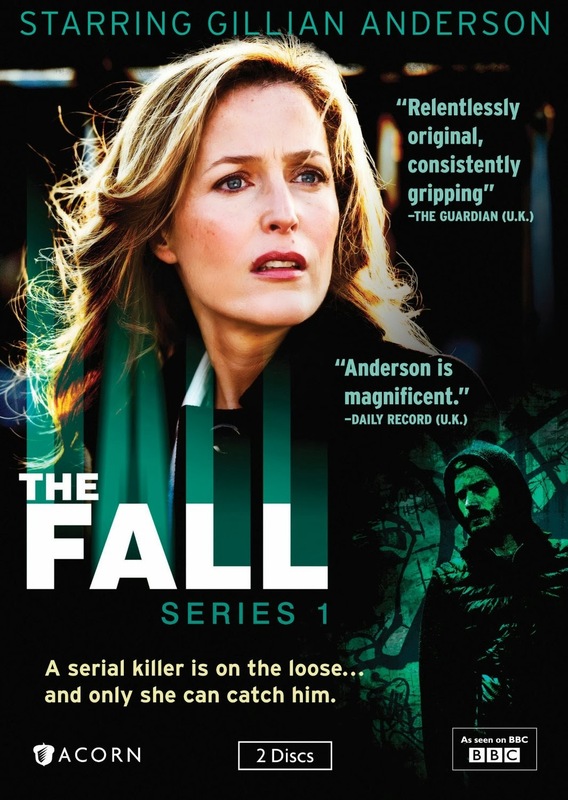 This week's Shout Out goes out Gillian Anderson and the folks behind the British series, The Fall. 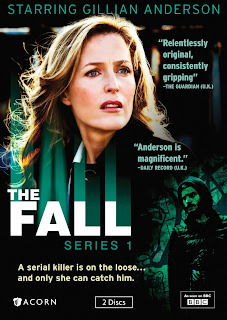 It's hard to believe that this week is the twentieth anniversary of the premiere of The X-Files, but Gillian's performance as Detective Superintendent Stella Gibson proves that she's still as impressive as ever. The series is not yet being broadcast on US television, but you can see watch it on DVD or Netflix. Next week, the ESO crew goes on a quest involving witch trials, black knights, upstart French soldiers, a castle full of virgins, and some shrubbery. 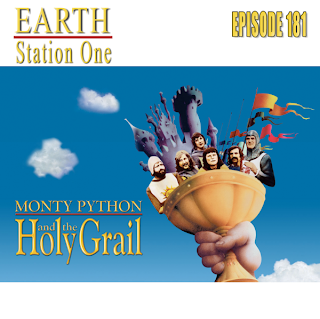 Yes, it's Monty Python and The Holy Grail! Plus, we’ll seek out the usual assortment of Rants and Raves, Khan Report, The Geek Seat, Shout Outs, and so much more. It’s a special low-budget episode of Earth Station One. The first of a series of special episodes of ESO! 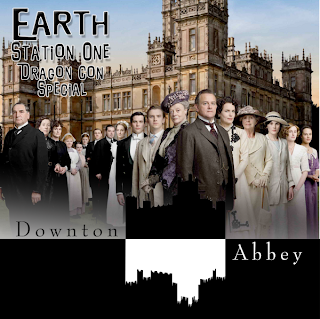 Recorded live on August 30th, 2013 at Dragon Con 2013, we are proud to bring you the very popular Downton Abbey panel in the British Media Track. Featuring Mike Faber, Jonathan Thomas, Carolyn Brown & Abeeda Mahboob. 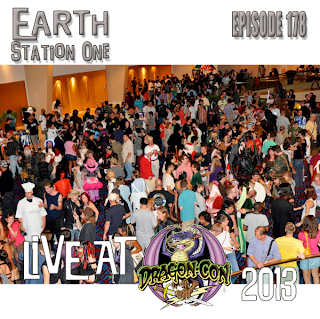 Recorded live at Dragon Con 2013, an ESO Network gathering so large, only one of the largest conventions in the country could host it! Featuring Mike, Mike, Jennifer and the award-winning author Bobby Nash from the Earth Station One mothership, Phantom Troublemaker from Earth Station Who and Needless Things, Jason & Rita from Transmissions from Atlantis, Dr. Scott from Doctor Geek’s Laboratory, Debbie Viguie from The Thirteenth Hour, and friends of the station Mark Maddox, Mary Lou Who, Jonathon Thomas of Anglotopia.net, Raven, and many more! Special shout out to Dragon Con official Public Relations Director Greg Euston for joining us and putting up with our shenanigans. As the ESO crew basks in the afterglow that was Dragon Con, we pause to remember the many films that appealed for our affections over the last four months and look ahead to the series (new and returning) that will be flying through the air as we sit back and relax with our colortinis this fall. With Jen and the award-winning author Bobby Nash on assignment, Mike and Mike are joined by Ashley Bergner and Alex Autrey for some screen talk, big and small. All this, plus the usual Rants, Raves, Khan Report, and Shout Outs! This week, my Shout Out goes to all those who helped make last weekend's Dragon Con one of the best ever! From the president and co-chairs, to the track directors, to the many staff volunteers, to the hotel staff, vendors, fellow guests and professionals, all the attendees and more! This year was full of special moments, many of which would not have been possible if not for the small army it takes to make it happen. THANK YOU!!! Hail to The King! 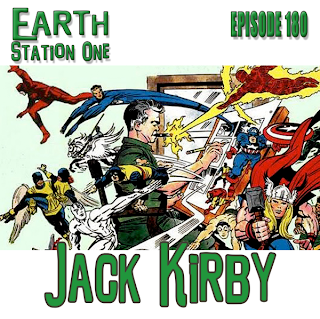 Next week, the ESO crew dives back into the comic bin as we take a look at the life and career of the "King of Comics" himself, Jack Kirby. It’s going to be a fantastic (pun intended) episode overflowing with Kirby Krackle, but we don’t stop there. We’ll have the usual assortment of Rants, Raves, Khan Report, The Geek Seat, Shout Outs, and so much more on the next exciting episode of Earth Station One. Recorded live at Dragon Con 2013! The ESW crew visited the BritTrack to discuss “Doctor Who: Past, Present, Future, and Forgotten.” Mike, Mike, Phantom Troublemaker, Jennifer Hartshorn, and Assistant Track Director Robert Bowen lead a packed house ready to talk about 50 years of Doctor Who and beyond. We also spend some time with Jevocas Green and William Waddell as they discuss the upcoming season one finale of The Forgotten Doctor web series. 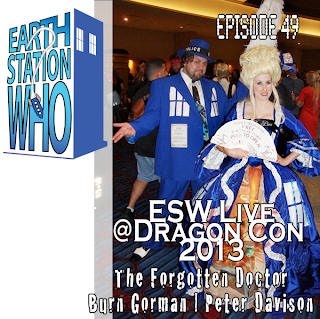 Plus, we chat with Torchwood’s Burn Gorman and cap off the episode with The Fifth Doctor himself, Peter Davison! Recorded live at Dragon Con 2013! 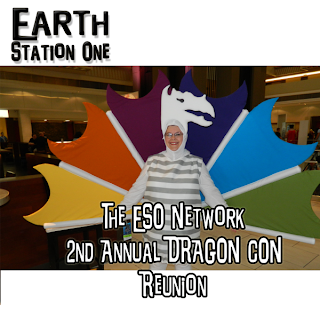 The ESO crew hosted two panels this past weekend and you can listen to them both in their entirety! First, Mike, Mike, Jen, and the award-winning author Bobby Nash put American Sci-Fi Classics in The Geek Seat with track director (and RevSF co-host) Joe Crowe. Then, we crash in on the Podcasting Track with friends of the station Jessa Phillips and Darren Nowell who help us strap track director Brian Dunaway in The Geek Seat. Both panels were tons of fun and we are extremely grateful to both tracks for including us in their programming. 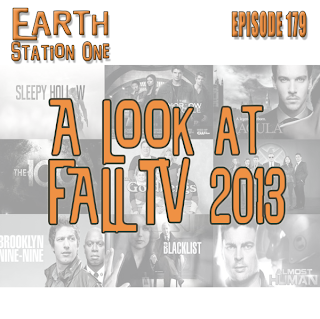 Next week, the ESO crew look back at the 2013 summer movie season and ahead to the fall TV season!